The Pro Violin Pre-Amp by Spring Creek Electronics is designed to improve the sound quality, tone and string separation in any violin pickup being used. You will experience true transparency in your sound plus enhancing the clarity of your violin. The onboard belt clip of your Pro Violin Pre-Amp conveniently clips to your belt for ease of volume control. 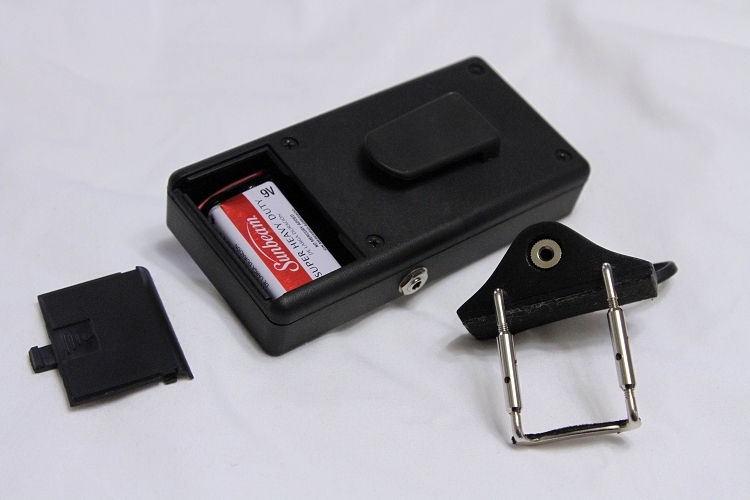 The Pro Violin Pre-amp uses a 9 volt battery which is included in the battery section of the pre-amp. Instructions: 1. Simply connect one end of the 1/8" provided cord to the input of the Pro Violin Pre-Amp. 2. Connect the other end of the cord to the violin pickup. 3. Connect the output of the Pro Violin Pickup with the provided 1/8" to 1/4" adapter. 4. From the 1/8"to 1/4" adapter connect your 1/4" instrument cord to the input of your amplifier. 5. Slowly raise the gain of your amplifier. 6. Turn on the Pro Violin Pre-amp and raise the gain slowly to the desired volume.